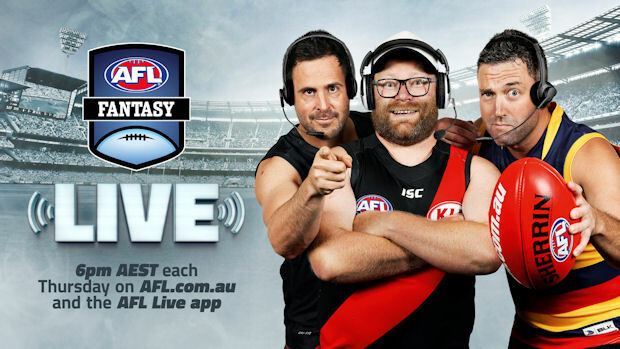 Sparksy looks at some best PoD’s in each position, considering form, fixture and ownership. 20 Rounds down, 3 to go. For those of you out of contention for the big dance and those who aren’t ranked in the Top 500, you may have already had your Mad Monday celebrations this week, or maybe you’re fighting hard for that prestigious Loser’s Cup (bottom 8 finals). I personally have had the worst three weeks imaginable in Fantasy, I believe the only significant injury/MRP/resting I’ve avoided is Mitch Duncan this week, and I haven’t had a week with less than 3 players being “forced” trades since I wrote my last article. I know a lot of you are in the same boat and, as such, we’re setting our goals a bit smaller to try and make up for the rankings/matches we’ve lost. To do that, we need to be different, a bit more extravagant, and boy do I have the article for you. Even if you’re chasing that hat, being ‘vanilla’ isn’t going to move you up the rankings, you can’t gain any points on someone with the same team as you. We all need PoD’s to gain on people in front of us, (other than Selby obviously, but Selby’s team is incredibly different as it is, proving the point that we need to stand out to be Top-100-good at Fantasy.) I’ve put some thought and research into the best PoD’s in each position, considering form, fixture and ownership, and hopefully a few of you can take advantage of these guys to propel yourselves into cap-range! After a god-awful start to the season and a mediocre middle, Rich seems to be finishing with a fairly consistent bang. I don’t know about you, but I’ve been finding it difficult to work out who is this season’s D6. Docherty, Adams and Laird are locks and Hibberd seems to be too, Lloyd has dropped off incredibly (thanks McVeigh), Simpson seems to be a bit inconsistent, and popular options Roberton, Newnes and Tuohy all seem to have lost a bit on what they were. Therefore, I personally believe that D6 gives you the most leeway to experiment with a PoD and gain that ground, and Rich is a great candidate. He’s a proven, albeit inconsistent, Fantasy performer, Brisbane seem to be getting things right whilst not winning games meaning Dan shouldn’t be in the scope for a tag, he’s in form with a Last-3 of 96.3 and tonning up in his last two games, and he’s not owned by over 98.5% of the competition. The only box he doesn’t tick is the ceiling factor, as he tends to not go over 110 too often. However, with a run home of Gold Coast, Melbourne and North Melbourne, I would be quite surprised if he goes under 95 in any of those games, and a solid 95 is some consistency we could all use. Talked about all season but hampered by his status as a Key-Position Player, Hurley has arguably been most improved of the season, especially for those who had the nads big enough to chuck him in their team. For the other 95.5% of us, we should be looking to take advantage of Hurley’s consistency and his run home. He plays Adelaide this week, which is a worry considering it’s his second worst team to score against, however playing at Etihad should help him. He’s played at Etihad seven times this season for an average of almost 99 and I’d expect something similar this week. After Adelaide, he has Gold Coast and Fremantle and that’s just about the juiciest last two games any team has to offer. With a Last-5 average of 103.8, I genuinely think Hurley has been the most underrated player this season and has truly proven himself enough to earn a spot in all of our teams. He should have been locked a long time ago and is comfortably the least risky option out of these Defender PoD’s. 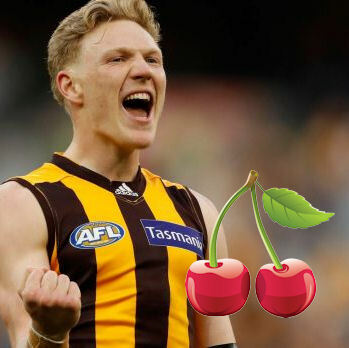 James Sicily seems to be Hawthorn’s answer to who will replace Josh Gibson as a loose Defender and we as Fantasy Coaches need to capitalise on this while we can. I wrote about Sicily as an option in my last article and spoke about the fact that I wasn’t sure how consistently he would get this Fantasy-friendly role as he actually started the season down back before moving to his traditional half-forward role. But he definitely seems to have adjusted now and is making the roaming Defender role his own, hitting the 100-mark for three consecutive weeks. He’s cheap, he has DEF/FWD DPP and he’s currently owned by less than 1% of the competition, making him arguably the best PoD on this list. I also don’t believe there’s a lot of risk associated with him now as he’s playing his role so well, the only thing I’d look out for is a defensive forward shutting him down, but Hawthorn have too many people playing loose down back for anybody to try and focus all their attention on just Sic. With a Last-3 of 106.7 and his next 3 against North, Carlton and the Doggies, I think James should tonne up in all of these, maybe not against Carlton, but I believe he would be a valuable ranking-gainer for any team. Also, his teammate Daniel Howe ($455,000 BE 68 Ownership – 1.18%) is worth a look at! Averaging just over 90 in his last 4 games and seemingly coming of age in the new-look Hawthorn 22, I think he could be a solid addition to most teams, but there are better, less risky options out there, including Sicily. The man I desperately want to keep secret but absolutely must tell you about. Brad Crouch has been on my radar since he came into the Adelaide team in Round 5 and I’ve just never found the room for him until hopefully this week. This boy is going to be my ticket into the Top 100, so if you could all avoid getting him in, that would be great. Currently, 98.6% of people have missed out on an average of 103.6 points a week, including a Last-5 average of 117.2. He hasn’t gone below 100 since his Round 13 bye, including 4/6 scores of 110+, and he had his rest in Round 19 so Adelaide should play out the season with him. His run home is beautiful with Essendon, Sydney and West Coast and he plays in the same team as Rory Sloane so he’s never, ever, ever going to get tagged. Honestly, I can’t see a negative to Crouch unless he gets injured. He has a good fixture, great scoring, consistency, reasonable price and nobody owns him. But please don’t pick him! Dishing you up a two-for-one special on teammates comes the ‘worst’ Selwood brother and his suspended mate, Mitchell. If it weren’t for his stupid tendency to get injured, Scooter would have had (and probably still would have) a spot in about 25% of Fantasy teams, but his few weeks out thanks to a dodgy hamstring meant few of us were in a position to hold, and those that were are probably having fairly irrelevant seasons in terms of rankings. Scooter has one thing going for him that none of my other Midfield options have; a low price-tag. Trading the broken, useless Selwood brother up to him will only cost you $34k, as opposed to the $144k it takes to get from him to Brad Crouch. This could be extremely handy for anybody who’s strapped for cash at this point in the season which, let’s face it, is probably quite a few people suffering from this week’s current dosage of absolute carnage. His run home isn’t great, with Geelong playing GWS in Fantasy Grand Final week, however Scooter doesn’t necessarily need a good match up to score well, as he generally tackles his way to 100. Teammate Mitch is just another victim of the AFL’s horribly inconsistent judiciary system this year, and will sit out at least this week (unless Geelong appeal successfully, which they won’t). For those that already own him, this adds another explosion into the train-wreck that is the Round 20 aftermath, however for those looking for a PoD midfielder for the last two Rounds of the season, this could be handy as Duncan’s ownership may actually go down this week. Duncan has the loss of Joel Selwood to relish in the coming weeks and has been one of this season’s quiet achievers, with 12 100+ scores, including a ceiling of 169, and having never gone under 90. I wish I started with him, although I’m loving the fact I didn’t this week, as that would have just been more carnage. Both these options are solid PoD’s and could definitely gain you some ground on your opponents, just watch out for that last Round match-up against GWS. With Brodie Grundy being rubbed out for two weeks after a picture-perfect tackle on big Benny Brown, and the only other solid option for this segment of Shane Mumford ($479,000 BE 64 Ownership – 5.12%) also missing this Round for a head high hit on this great man, Maxy Gawn is the obvious option to bring in. Clearly he won’t be a PoD for long as Grundy was owned by around 25% of the competition in Round 20 and the only three viable options to go to are Kreuzer (if you have the cash), Stef or Max. I’ve decided that holding Grundy for two weeks and fielding Darcy is probably the stupidest thing I can do, especially with Max coming off a 140 and playing St. Kilda (Billy Longer) and Brisbane (Stefan Martin) in his next 2, neither of which are particularly hand tap ruckmen, before coming up against Grundy when he comes back in the last Round. With back-to-back 100’s Max is obviously back, and with a low price-tag, an easy run home, and his history of being the best ruckman in the comp, I really shouldn’t have to sell you on bringing in Gawn. I genuinely think I’m about to own the worst record in AFL Fantasy article-writing history. I have mentioned Shaun Higgins twice this season, TWICE. I’m disgusted with myself and feel nauseated just suggesting that you bring him in, but he definitely has huge upside to finish this year off, not even including the fact he’s in less than 4% of teams and most of the Coaches above you are likely much too sane to ever consider bringing him into their teams. His numbers are solid without being too fantastic, Last-3 of 90.3, Last-5 of 96.8. The bit that really gets me though is his finish to the season. Higgins plays the Hawks next week down at UTAS Stadium, one of the highest points allowed per game grounds in Fantasy football. Whilst the Hawks have become a little less generous in allowing Fantasy points to be scored against them late this season, I still think North Melbourne will have quite a few players tonne up, and Higgo will be one of them. He then plays St. Kilda, followed by Brisbane in what could be a battle for the wooden spoon. Neither of these teams are at all restricting and, as such, I expect Higgins to hit the 100 in both of these games too. I really don’t think it’s much of a stretch to see Higgins going 100+ for the rest of the season, and with scarce consistency up Forward at the moment (see: Lance Franklin), you could do a lot worse than Higgins with the run North have home. With Boaky on a decent run of scoring (minus his 46 two weeks ago) and Wingard coming back this week (most likely), I don’t mind these two as PoD’s in the Forward line, especially as options are few and far between. I like Boak as an option slightly more as he can actually score away from home and seems to be slightly more consistent. He also has a season ceiling of 153 against Gold Coast earlier this season, and guess who he plays in Round 23? Tempting right! Wingard has been extremely impressive this season, but only when playing in Adelaide. Check out this stat; since, and including his first tonne in Round 5 when he finally found some form after two-years doing nothing, Wingard has averaged 125.8 at home. Surely he’s averaged at least 100 in away games with that sort of crazy form, right? Wrong. In the same time span he’s averaged only 77.3 in away games. That’s almost a 50 point difference, insane! Good news is that 2/3 of his remaining games are in Adelaide, so he should be good for a round average of 100 for the remainder of the season, including two scores above 120. One thing to worry about with Wingard coming back is less midfield time for somebody, but I believe that this will be Robbie Gray as, whilst his midfield time has positively impacted his Fantasy scoring, it doesn’t seem to have been too positive for Port Adelaide winning games. The boy who has been costing Luke Dahlhaus valuable Fantasy points and the only Bulldog player I don’t particularly like due to his terrible, yet apparently convincing to the umpires, acting career. Toby should be a strong consideration for most AFL Fantasy teams over these last few weeks. He has a Last-5 average of 99 and his run home is GWS at home, Port Adelaide and then Hawthorn which is alright. I see him averaging mid-90’s for the rest of the season, which is nothing to write home about, but if you had him instead of popular option Buddy Franklin last week, that’s a 65-point differential on your opponents. His score will also be the most viable unique Forward option you can find, with just over 1000 teams owning him. I don’t endorse him too much as he doesn’t tend to score too big, with only two 110+ games this season, but he is extremely unique and quite cheap, so if you have all the consistent Forward options and you’re looking for somebody to round out that line, maybe give McLean a go. Anyway, that’s all from me for this season! Thank you all for reading my articles, and a big shout out to Warnie, Roy, Calvin and all the DT Talk guys for publishing my articles again! I’ll be doing my best to make up some rankings and get myself into cap range, however unlikely that may be. I’d love to know how you guys are doing in the comments below, or send me a tweet @SparksyDT with any questions you may have and I’ll do my best to answer! Cheers heaps and happy trading! Again, why is Jacobs not a viable option for ruck? Considering form, fixture and ownership, IMO he ticks all boxes. Form. Ranked 3rd on 3R ave (108.3) behind Grundy (112.7) and Gawn (112) coming off his 3rd Showdown medal. Fixture. Coming up against Bellchambers (ESS), Sinclair (SYD) and Petrie (WC). Against those three teams, over the last 3 rounds, opposition rucks have averaged 1.43, 0.43 and 1.06 standard deviations above their average score. That projects Sauce to score 131, 110 and 123. Ownership – 9.15% which is a tad less than Gawn, and not likely to rise as much based on the lack of interest shown. Sure, I’m a bit of a fanbois, but I just don’t get why no-one is interested? Incorrect, the worst Selwood brother is Adam. Incorrect, Troy is definitely the worst. Current rank 136 but dealing with jelwood, Grundy, zerrett and witho this week. Thinking Grundy to gawn and selwood to Sidey, Ryan and mountford will have to cover the other two.